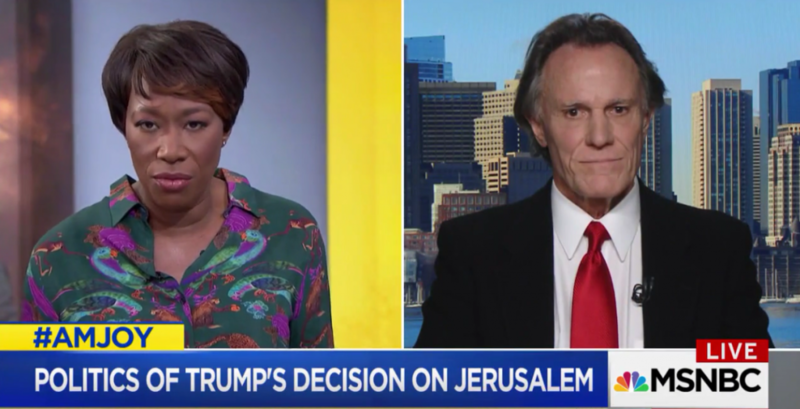 Sounds like he made the right decision then to recognize Jerusalem as the capital of Israel and move the embassy there, doing what his predecessors could not. I’m sure Joy has never read a novel in her life, so she probably doesn’t know how this all works. But Schaeffer was right. All this really signifies is that the Donald, at times, can play politics well. This was an easy win for him. This is something he could point his finger to and say he was able to accomplish something that the three previous presidents said they would do and failed to deliver on their promises. Remember when Joy laughed at Ann Coulter for saying Donald Trump had the best chance to win the presidency? Yes, Joy, this is not a novel you’re in. This is real life. Donald Trump is the President of the United States whether you like it or not. You can imagine yourself in some fairy tale world where Hillary or Bernie is president and all your problems are fixed. And I’m sure if Hillary Clinton, in your fantasy land scenario, did the same thing Trump did, you would praise her and her political savvy. So please, leave us alone.